Evaluation of products where concerns have arisen in the field – Cable Tie Express has always made every effort to analyze and address any concerns in a timely manner. 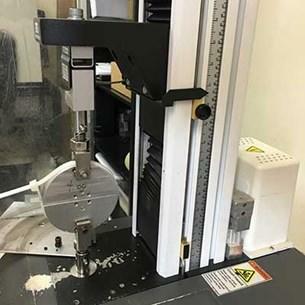 Use of the Instron Tensile Tester provides the equipment to carry through on that commitment to assure satisfaction at the customer level. Have questions about our product quality testing or any of our wire management product or related services?